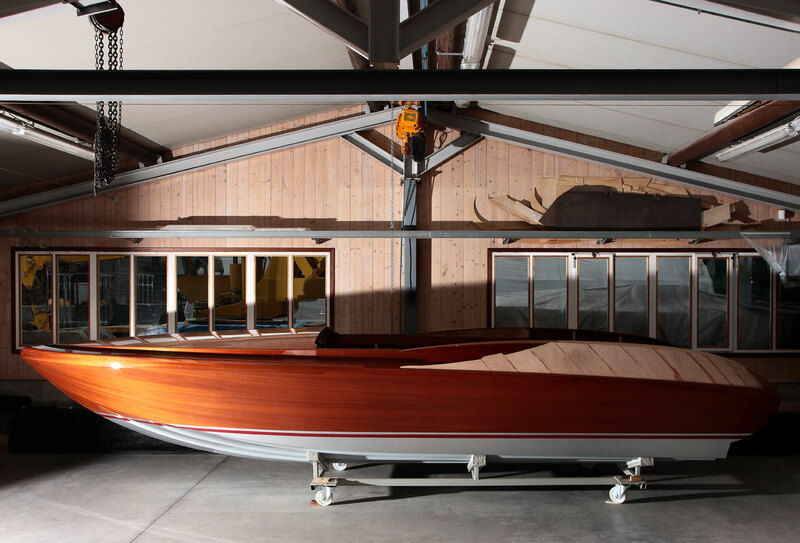 Construction | Glisenti | Fine Wooden Boats. 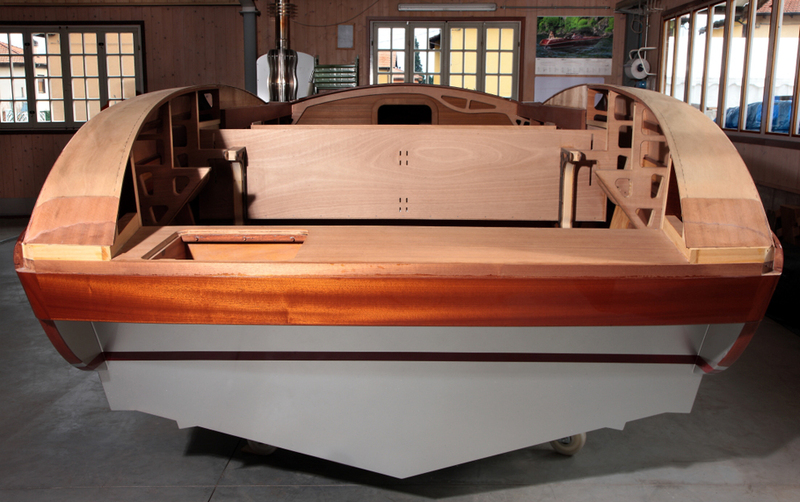 Only by planning each boat meticulously, down to the last detail, can top quality results be achieved, including small-batch or single custom-made crafts. 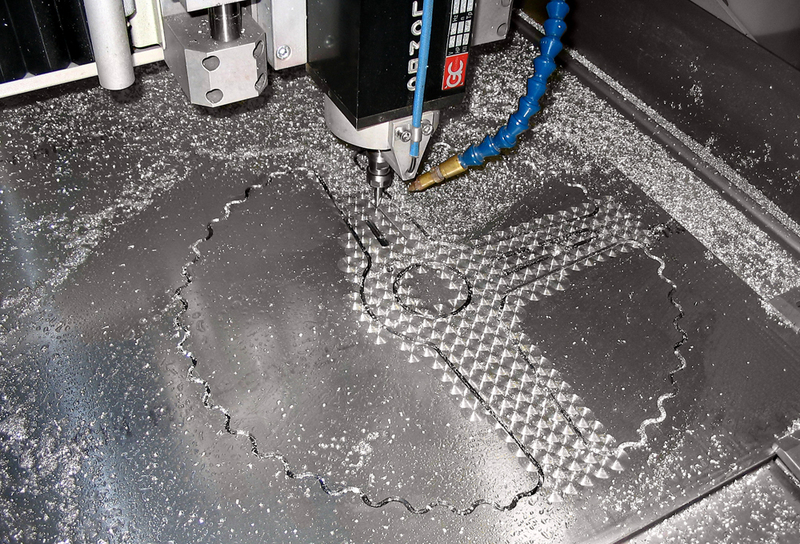 The important parts of the frame, the panels and the accessories are produced using CNC pantographs. The flawless assembly and finishing can only be achieved by workers with decades of experience. The ribs are aligned on a modular aluminium template, inspired by the aeronautical industry. All accessories are made in our workshop specifically for each model. 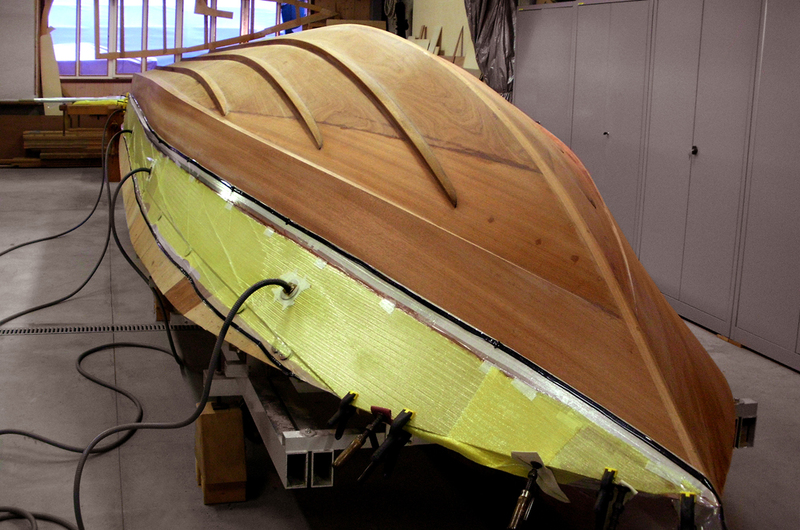 Thanks to the modern vacuum-laminated construction, the lack of screws and stoppers on the outer surfaces, and flawless varnishing, the boat will last longer than older vessels. The complex and lavish structure is not merely a joy to behold for keen sailors; it is light and robust, and offers exceptional speed, comfort and safety, without needing a high-power engine. Fuel consumption and emissions are thus kept to a minimum. 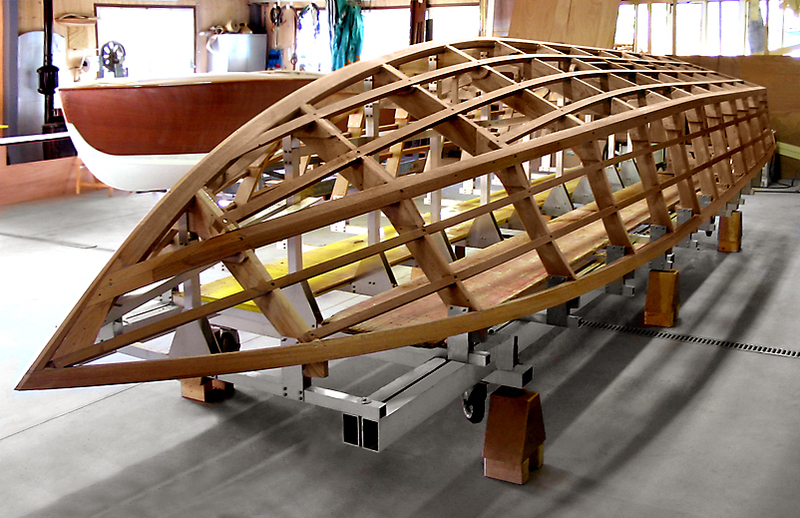 Traditional design, with ribs and stringers made of solid or laminated wood. The bottom is made from two panels of multi-laminate mahogany: the first is glued with 3M 5200 and screwed to the frame, whilst the second is vacuum glued to the first layer with epoxy resin. All screw holes are completely isolated, preventing leaks and wood rot. The sides are made of three intersecting layers, vacuum glued with epoxy resin. The utile outer layer is 6 mm thick and has no screws or stoppers. 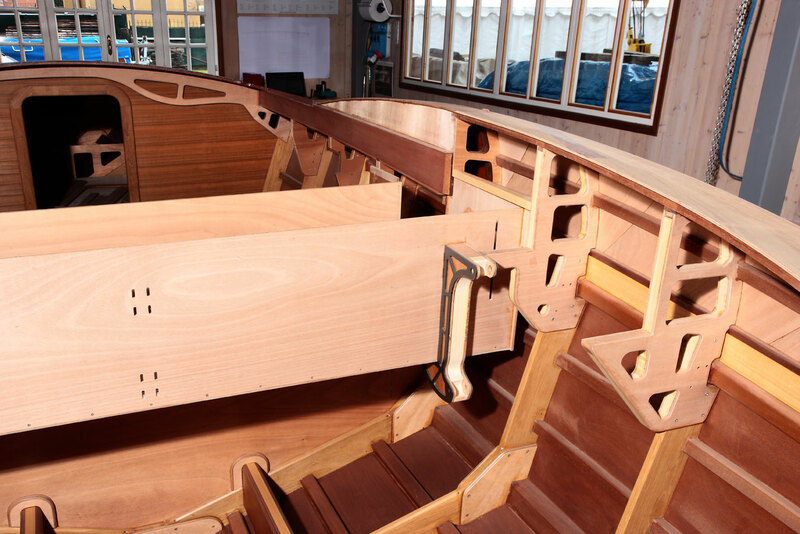 For increased strength, reduced weight and a neater look, the deck is made of two or three layers, vacuum glued and inlaid on site. Thirty coats, sanded to 6000 grit and polished. Mahogany, oak, and multi-laminate mahogany plywood. 316 steel, chromed copper, hard anodised aluminium. Adhesives: epoxy resin, 3M 5200.